Please note Dr. Gomes will not be accepting summer students in 2019. Dr. Tara Gomes is an epidemiologist and Principal Investigator of the Ontario Drug Policy Research Network (ODPRN), a provincial network of researchers with expertise in pharmaceutical utilization, outcomes and policy who rapidly conduct research for drug decision-makers in Ontario and across Canada. She is also a Scientist in the Li Ka Shing Knowledge Institute of St. Michael’s Hospital and the Institute for Clinical Evaluative Sciences and an assistant professor at the University of Toronto. 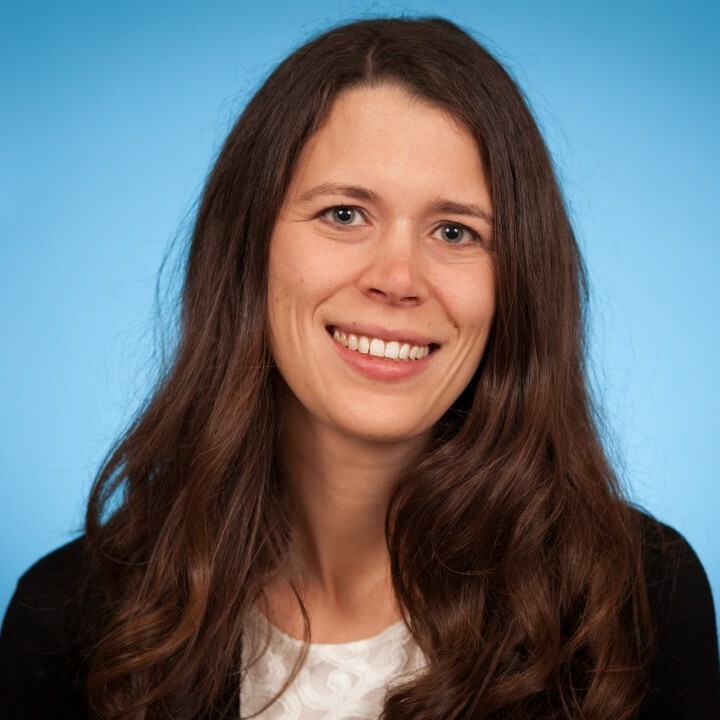 Her research is focused on pharmacoepidemiology, drug safety and drug policy research leveraging large, administrative databases, and she has published over 125 peer-reviewed articles and over 50 policy reports in this area. Dr. Gomes has worked closely with the Ontario Ministry of Health and Long-Term Care and the Canadian Network for Observational Drug Effect Studies (CNODES) to develop evidence to inform policies related to opioid use and abuse in Ontario and more broadly across Canada. She has also served as an expert for the US Food and Drug Administration and the US Department of Transportation in discussions related to opioid policies and regulations. In 2014, the ODPRN was awarded the Institute for Public Administration of Canada’s Bronze Public Sector Leadership Award in Health and Education. Martins, D, Khuu, W, Tadrous, M, Juurlink, DN, Mamdani, MM, Paterson, JM et al.. Impact of delisting high-strength opioid formulations from a public drug benefit formulary on opioid utilization in Ontario, Canada. Pharmacoepidemiol Drug Saf. 2019; :. doi: 10.1002/pds.4764. PubMed PMID:30873707 . Morrow, RL, Dormuth, CR, Paterson, M, Mamdani, MM, Gomes, T, Juurlink, DN et al.. Tramadol and the risk of seizure: nested case-control study of US patients with employer-sponsored health benefits. BMJ Open. 2019;9 (3):e026705. doi: 10.1136/bmjopen-2018-026705. PubMed PMID:30872555 PubMed Central PMC6429854. Tadrous, M, Greaves, S, Martins, D, Nadeem, K, Singh, S, Mamdani, MM et al.. Evaluation of the fentanyl patch-for-patch program in Ontario, Canada. Int. J. Drug Policy. 2019;66 :82-86. doi: 10.1016/j.drugpo.2019.01.025. PubMed PMID:30743092 . Antoniou, T, Ala-Leppilampi, K, Shearer, D, Parsons, JA, Tadrous, M, Gomes, T et al.. "Like being put on an ice floe and shoved away": A qualitative study of the impacts of opioid-related policy changes on people who take opioids. Int. J. Drug Policy. 2019;66 :15-22. doi: 10.1016/j.drugpo.2019.01.015. PubMed PMID:30685650 . Gomes, T, Tadrous, M, Mamdani, MM, Paterson, JM, Juurlink, DN. The Burden of Opioid-Related Mortality in the United States. JAMA Netw Open. 2018;1 (2):e180217. doi: 10.1001/jamanetworkopen.2018.0217. PubMed PMID:30646062 PubMed Central PMC6324425. Xu, Y, Gomes, T, Mamdani, MM, Juurlink, DN, Cadarette, SM, Tadrous, M et al.. Analysis of Trends in Insulin Utilization and Spending Across Canada From 2010 to 2015. Can J Diabetes. 2019;43 (3):179-185.e1. doi: 10.1016/j.jcjd.2018.08.190. PubMed PMID:30545737 . Musselman, RP, Gomes, T, Rothwell, DM, Auer, RC, Moloo, H, Boushey, RP et al.. Do Diagnostic and Procedure Codes Within Population-Based, Administrative Datasets Accurately Identify Patients with Rectal Cancer?. J. Gastrointest. Surg. 2019;23 (2):367-376. doi: 10.1007/s11605-018-4043-z. PubMed PMID:30511129 . Watt, JA, Gomes, T, Bronskill, SE, Huang, A, Austin, PC, Ho, JM et al.. Comparative risk of harm associated with trazodone or atypical antipsychotic use in older adults with dementia: a retrospective cohort study. CMAJ. 2018;190 (47):E1376-E1383. doi: 10.1503/cmaj.180551. PubMed PMID:30478215 PubMed Central PMC6246047. Muratov, S, Lee, J, Holbrook, A, Costa, A, Paterson, JM, Guertin, JR et al.. Regional variation in healthcare spending and mortality among senior high-cost healthcare users in Ontario, Canada: a retrospective matched cohort study. BMC Geriatr. 2018;18 (1):262. doi: 10.1186/s12877-018-0952-7. PubMed PMID:30382828 PubMed Central PMC6211423. Guan, Q, Sproule, BA, Vigod, SN, Cadarette, SM, Greaves, S, Martins, D et al.. Impact of timing of methadone initiation on perinatal outcomes following delivery among pregnant women on methadone maintenance therapy in Ontario. Addiction. 2019;114 (2):268-277. doi: 10.1111/add.14453. PubMed PMID:30276907 .